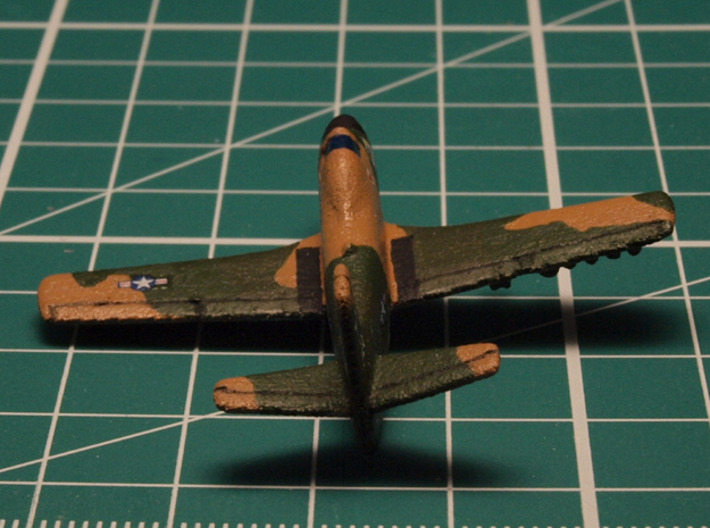 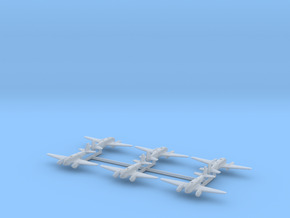 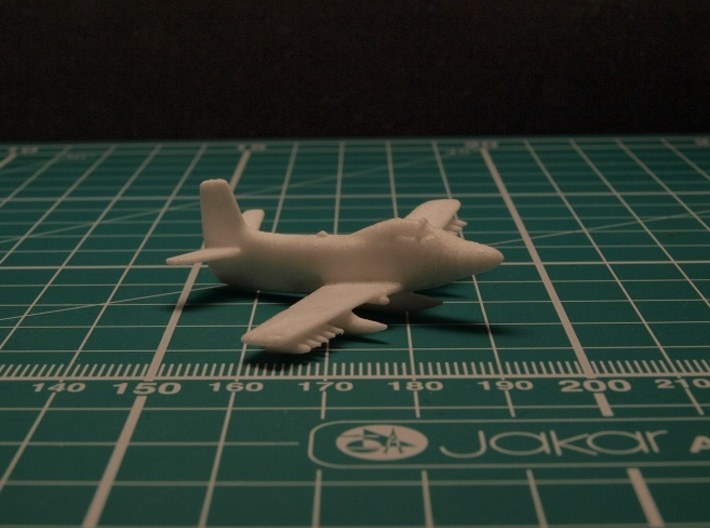 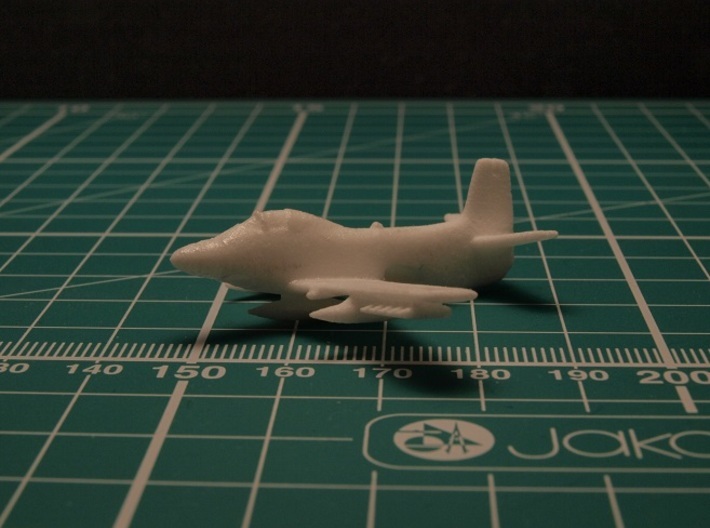 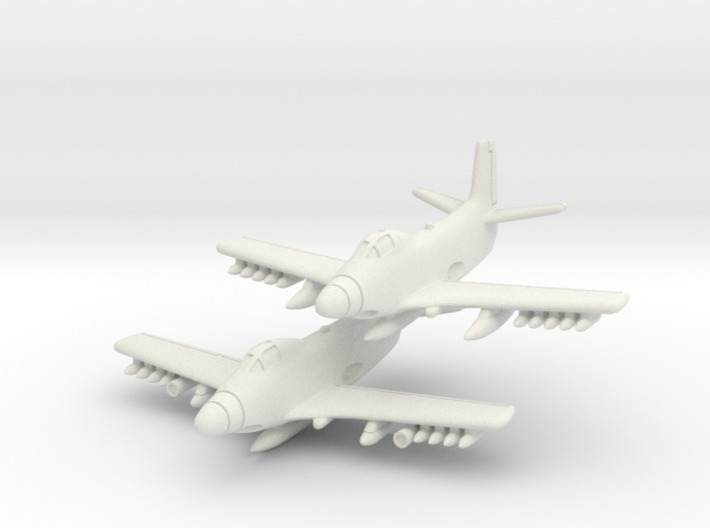 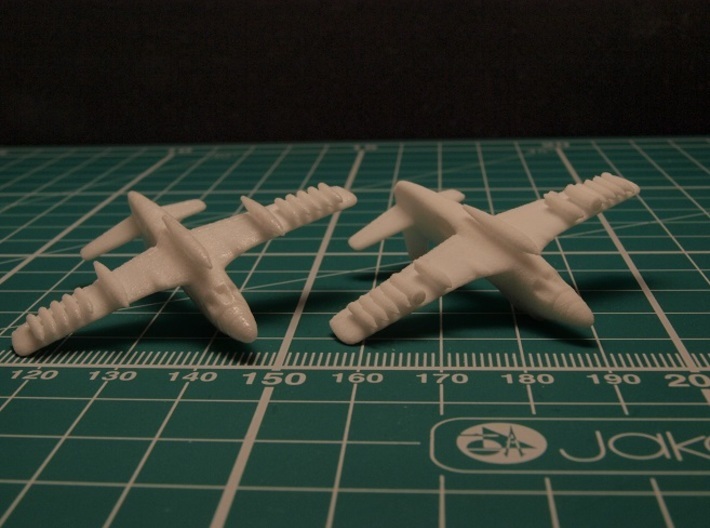 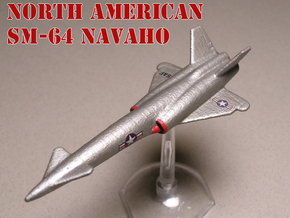 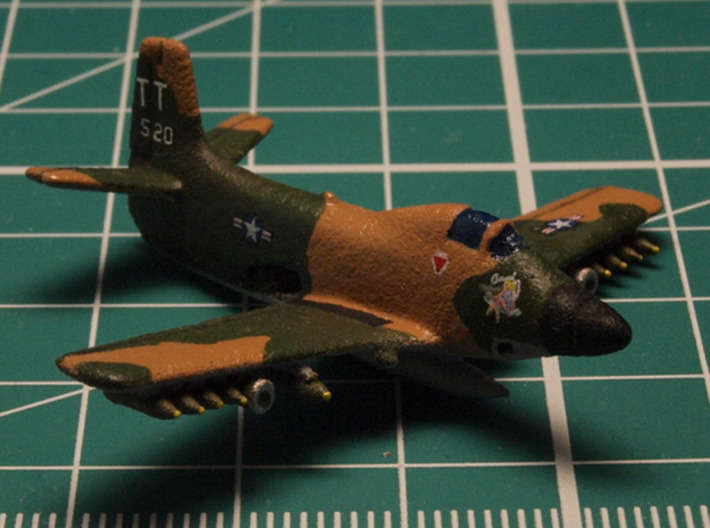 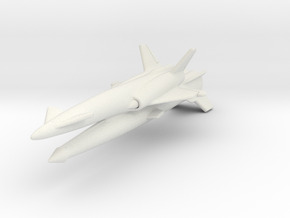 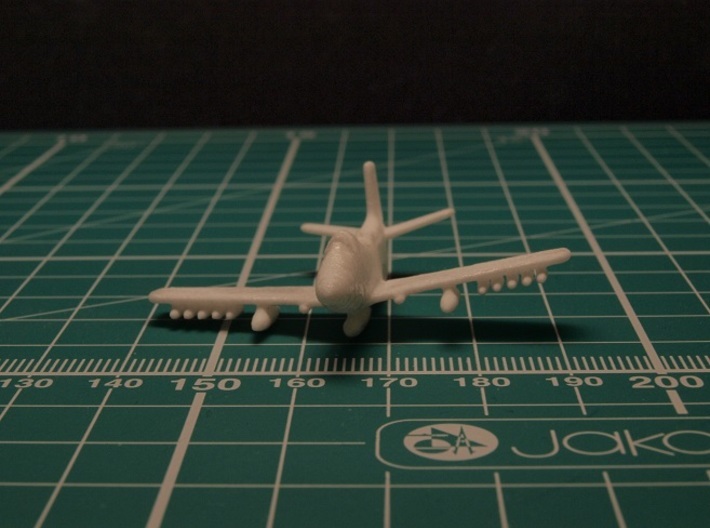 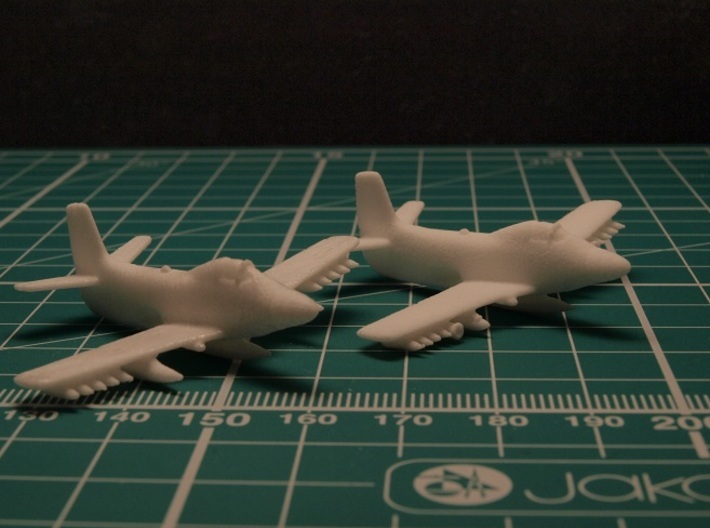 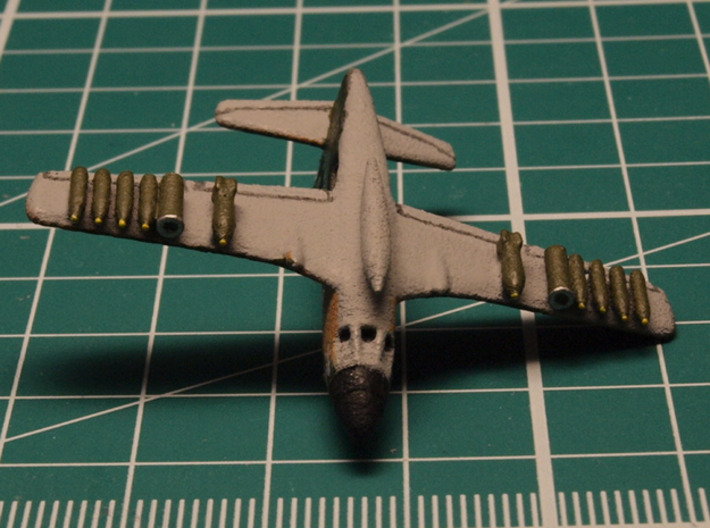 The only model of the Douglas A2D Skyshark in 6mm scale. 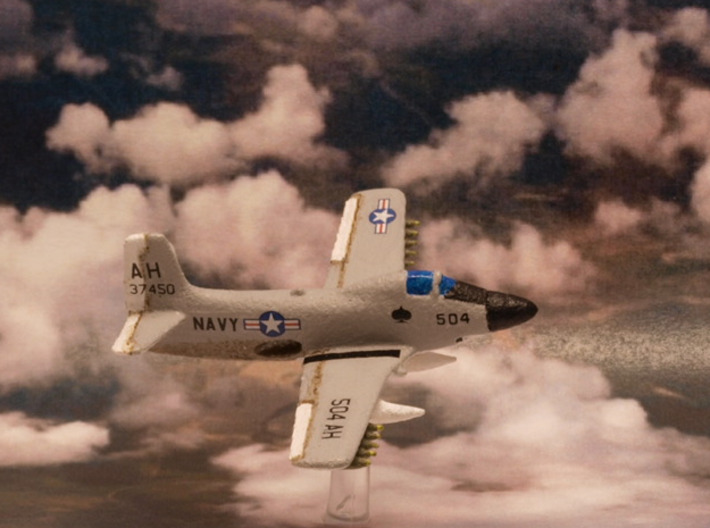 The U.S. Navy needed a fast attack aircraft capable of operating from small carriers. 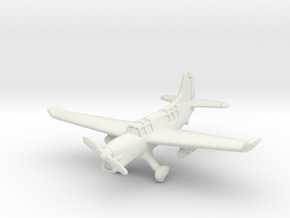 Technology of the time mandated a turboprop engine. 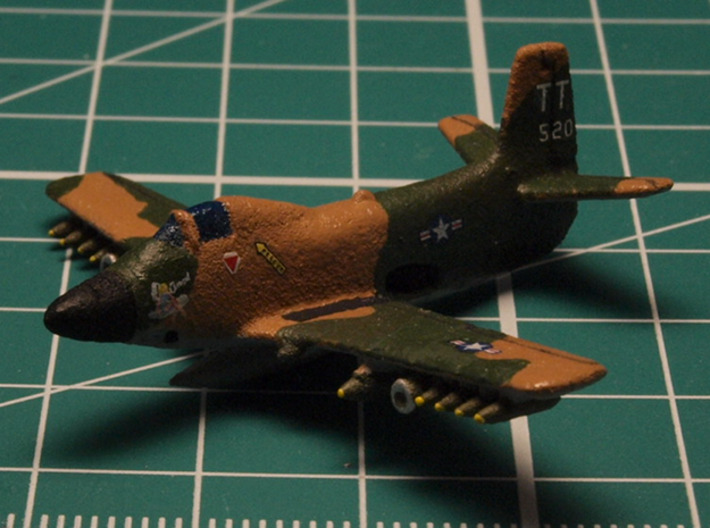 The end of the Korean War, the phase-out of small carriers, and problems with the XT40 engine led to cancellation of the Skyshark, with only twelve were built.The models represent the airplane in flight with two different payloads and without propellers.